What happened to convenience? What happened to making it easy for customers, clients and visitors to get in touch with you? 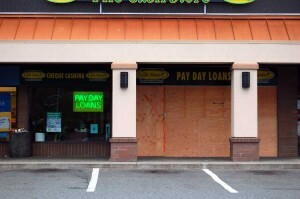 If you had a real brick-and-mortar store, would you board up the front door and instead send your customers on a wild goose chase around the building, to the back alley, up a ramp and still assume they will shop with you? Yes, we’re open, but we’re not going to tell you how to get to our store. Just because it’s Facebook doesn’t mean that everything that applies to actual storefronts and *regular* websites suddenly doesn’t matter anymore or that the rules simply don’t apply. As Facebook becomes more and more of a business tool, businesses slowly realize it is becoming a quasi-necessity to be present on Facebook. But almost like 15 years ago, when the web first became popular and a website became a must-have — most of them rush in, create a Facebook page because someone told them they had to, and then they don’t care about it anymore. 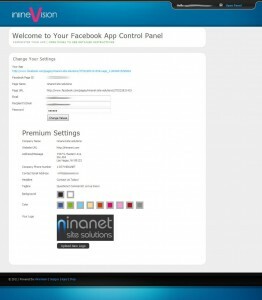 – Branding: Make your Facebook Page look somewhat like your website. At least upload your Company Logo & edit the Info tab. Tell users what they can expect, what business you are in, tell them about the services you provide, your products, etc. – Interactivity: Facebook has the administrative interface built in. Post updates on your Wall! You do not have to call your web designer to do it. Nobody wants to see a stale Facebook Page (e.g. last update 10 months ago). – Customization: Default settings are just that. Not changing them is like buying a new house and never furnishing it. Remove unnecessary items from your Page’s navigation, re-order the tabs, add new ones by installing Apps that add value to your Page. – Must-Haves: As already mentioned above; Facebook Pages do not provide an option to contact the owner or admin directly. Users can only post on your Wall and hope that you are actively monitoring the newsfeed. Give them the opportunity to contact you! 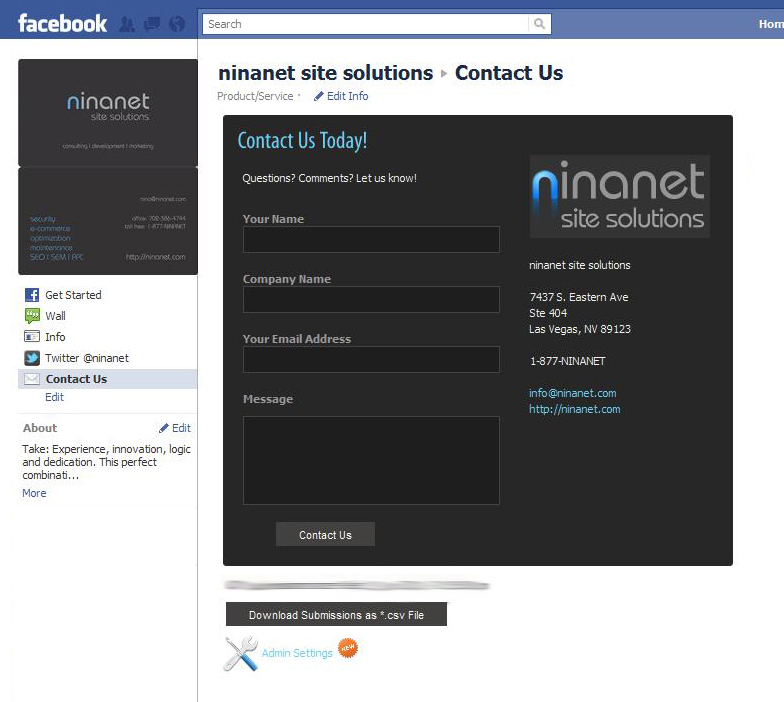 To accomplish this (and to create other Tabs on your Page), you have to use a Facebook App – one like the Contact Form for Facebook by inlineVision. Their App not only allows you to add a Contact Form to your Facebook Page in 2 simple steps, the Premium Version also allows you to customize and brand the App to your liking — for a one-time-payment of $49 — via a very easy to use Admin Panel (comparable Apps usually come with a subscription fee of around $10/month). You can upload your Company Logo, customize the colors, add your business address, the phone number, customize the headline and the tagline and specify the recipient of the submitted data. The Premium version also gives you the opportunity to download the submissions in *.csv format so you can import them into your CMS or your mailing list software. There are no hidden fees and there is no subscription necessary for the service – once your payment has been processed and you have been upgraded, all the Premium Options are immediately available. $49 is very small price for an App that might prove invaluable for all Facebook Page owners. Get the Free Version of the Contact Form here. Upgrade or buy the Premium Version here.